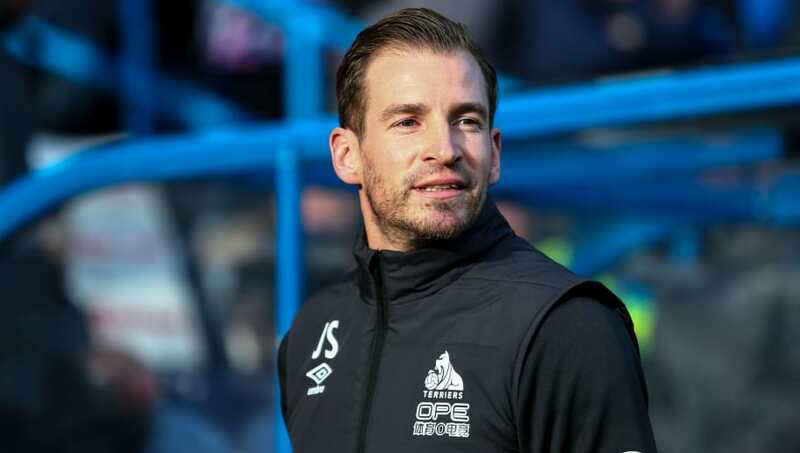 Huddersfield Town manager Jan Siewert insists that he "will fight for my life" to keep the club in the Premier League next season following their encouraging performance during their defeat to Arsenal on Saturday. The Terriers went behind early on through a deflected Alex Iwobi volley and the visitors' lead was doubled by Alexandre Lacazette on the stroke of half time. But Huddersfield didn't let their heads drop and were even able to pull one goal back in the dying embers of the match, forcing Arsenal defender Sead Kolašinac to put the ball into his own net in added time. "Think of how many chances we had against Arsenal," Seiwert told Sky Sports. "This is a fantastic team, having a good season, but this didn't look like someone at the bottom playing against them. "I am definitely pleased. It was a situation which wasn't easy in the first half, but we showed everyone we wanted to give a big fight and we did. Until the end of the season, I will fight for my life and the supporters to stay in the Premier League. "Mistakes happen in football. It hasn't been an easy season and, to be honest, I started in a difficult situation and I knew that, having Chelsea, Arsenal and Everton in our first games who are all in the top half. "Today you really saw what we are working on and I think the supporters did too because they gave us a big applause after the match and that makes me really proud." Seiwert has now lost his first three games in charge in West Yorkshire, but Town travel to Newcastle United during the next round of fixtures in the Premier League, after an extended break due to the fifth round of the FA Cup, confident that they can get a result against the Magpies.